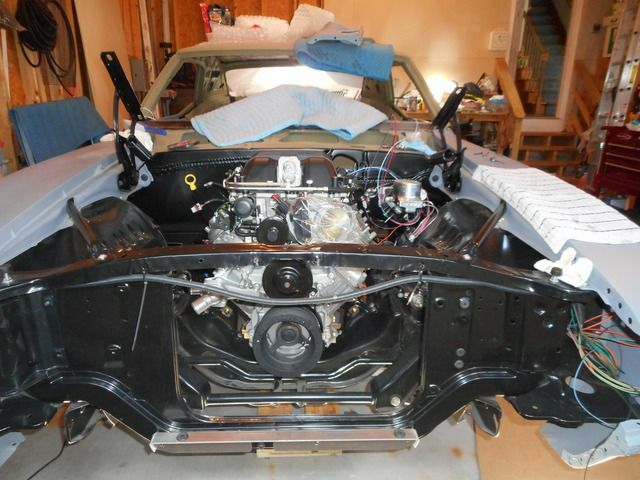 Hi I'm building a 69 Camaro SS/RS. Pro-touring project. The body was stripped down to the Aand C pillars the blasted and assembled with new wheat metal. It was supposed to get a world Product's 454 SBC 610 hp/ 575 lbft and a Viper 6 spd, but I changed direction. Now I'm going with an LSA/4L85 connect and cruise crate drive train. I'll be selling the other set up. If you would like to see my project it's at Leteral-g.net it's project FNQUIK. Looking forward to learning a lot from you guys. Last edited by Wayniez; 12-18-2014 at 12:17 AM. It will be a stock LSA accept for a V Max ported TB, a cold air kit, with a tune. It will also have a C&R heat exchanger with a Stewart EMP HX pump programmed by Lingenfelter for max flow. I hoping to put a decent sized tank for the Heat exchanger. The Exhaust I have is a set of ARH 1-7/8" long tube headers with a 3" Magnaslow exhaust. 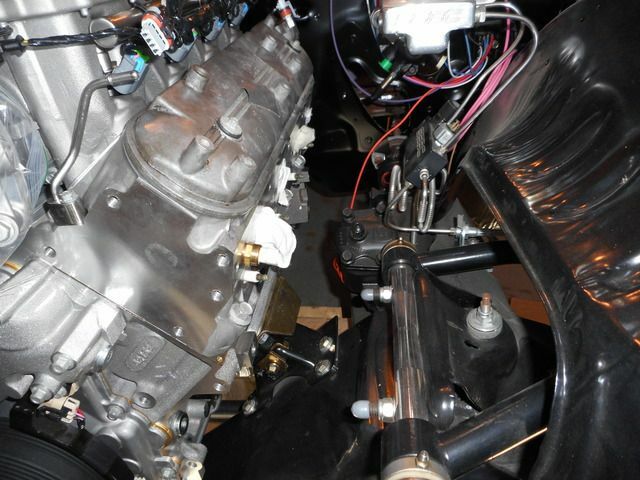 The trans is a 4l85 with a stall of 24-2800, going to a Ridetech 4 link with a Chassis Works Fab 9 with 350:1 posi. I'm a new to Ls motors and I'm trying to learn what I can from all your posts. Last edited by Wayniez; 12-25-2014 at 08:05 PM. 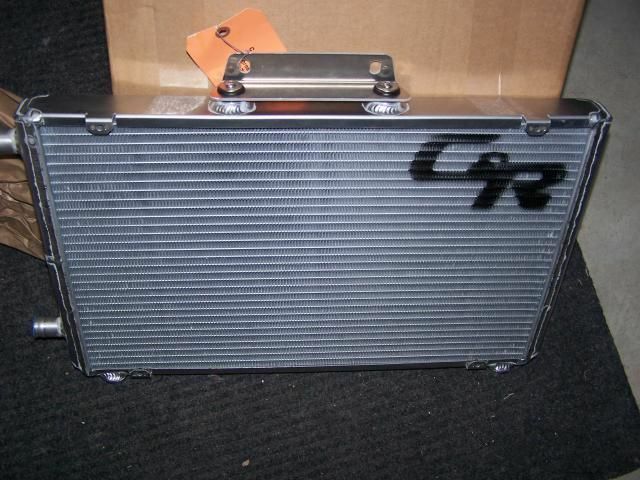 I just got my C&R Racing Heat Exchanger yesterday. 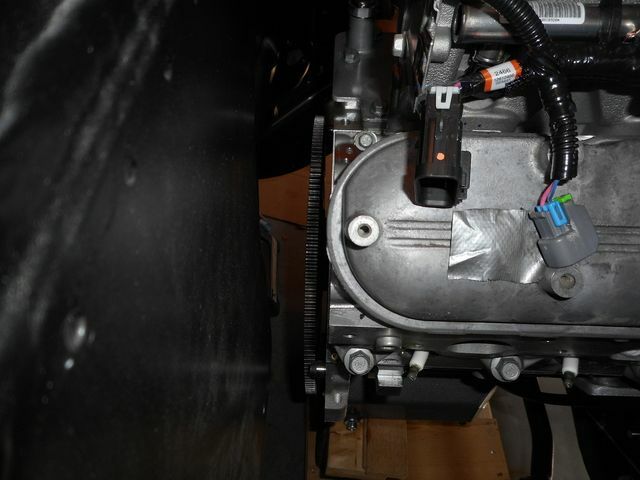 Its made specifically for a 69 Camaro and bolts right to the radiator support between the radiator and A/C condenser with no mods to the hood latch. Drive train should be in some time next week. 69 SS/RS Camaro complete frame off new sheet metal. 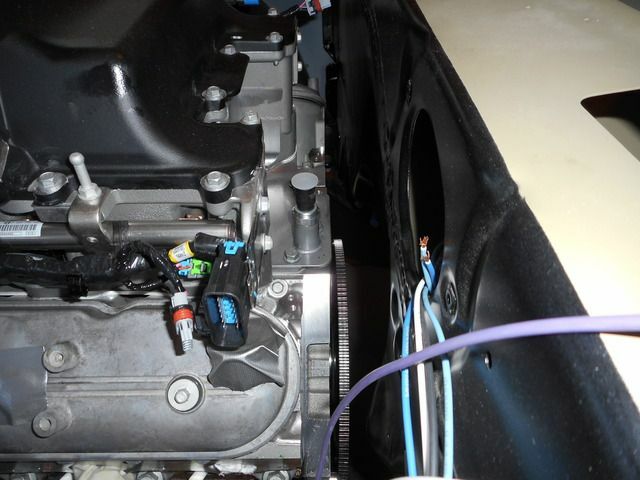 DSE mini tubs, frame connectors, tubular control arms. Ride Tech 4 link with coil overs and Chassis Works Fab 9. C6 Z51 Corvette brakes. GM crate LSA/4l85 crate drivetrain. Phew I need a cigarette ! I'm so looking forward to this build. Keep updating! I've been getting in a lot of parts for the swap. I'm using this for mt trans because my radiator doesn't have a built in cooler. 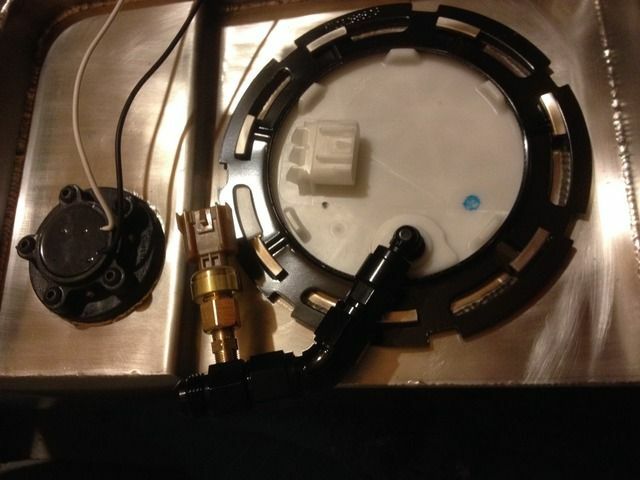 I got my VaporWorks controller for my Ricks tank and CTS V fuel pump and plumbed it in. And the pump and the fittings to plumb it in. And the final connection, the corrigated hose is only 5/16" so I had to bring it up to the size of the fitting to make the connection. 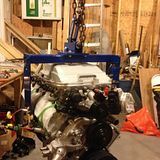 Nice build going, I'm definitely gonna follow, I doing a similar project with a 68 except i'm going M/T and instead of LSA planning on a turbo lsx. I'd estimate the LSA through an auto and that 9" rear to put 450-480 at the wheels. 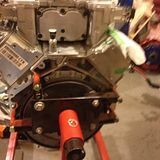 I was going to put a World products 610 hp 454 SBC and a Viper T56 in it but changed my mind, now I have the motor and trans forsale. To help fund the rest of the build. That is a crazy build you are doing, I love cars but no way I would have enough patience to see that through. You're a better man than me. I got out in the garage a week ago Last Saturday and I Changed to an old set of valve covers so the LS lift adapter could fit and finally got the engine out of the crate and on the stand. I'm hoping to prep it and paint some clear on it to help make it easier to keep clean. 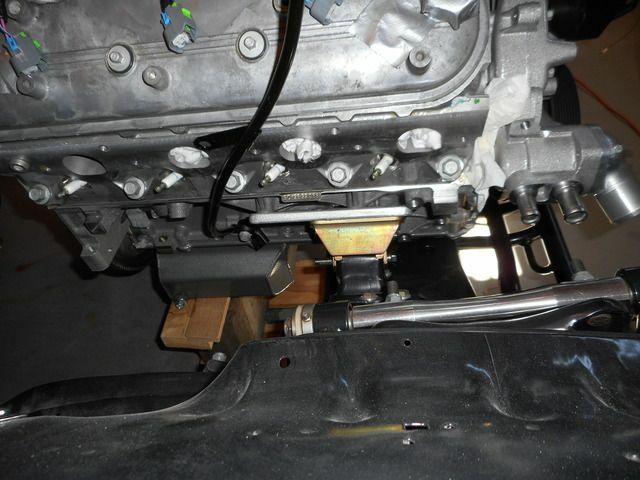 Then I'll put the Auto Kraft oil pan, motor adapter plates and motor mounts on it and see how its looking. (Do I need a new oil pan gasket, its a brand new crate motor)? I'll probably try the headers on it to see if there is enough room to run an Improved Racing oil thermostat off the oil filter area. Very nice. 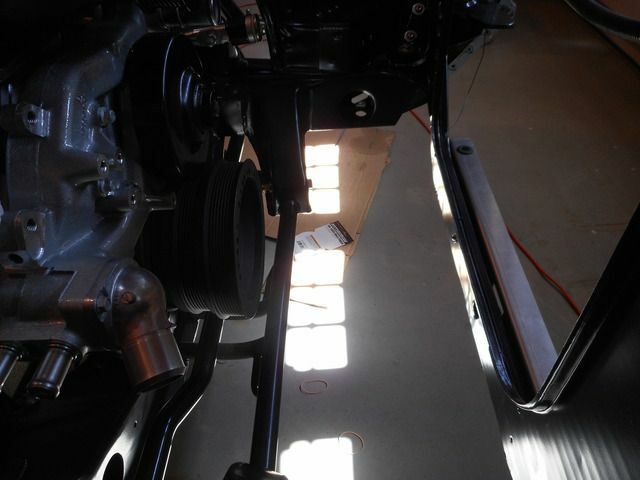 The stock LSA is right around 480-500 hp to the wheels so with your mods and a tune you should be right around 550hp. 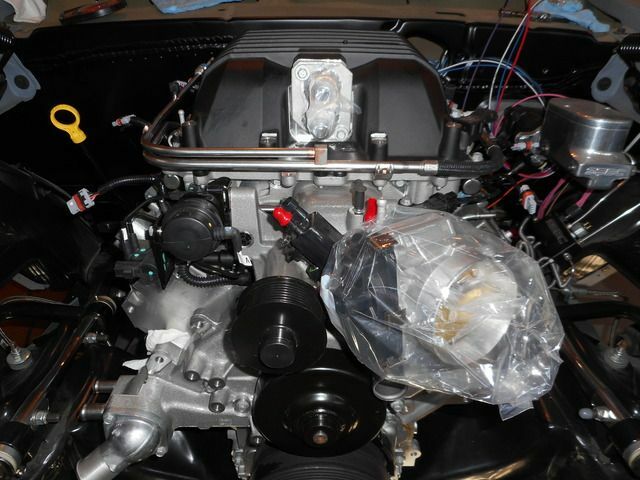 I too am building a Pro-tour '67 Camaro SS but was already to deep into a SBC to back out. I've dyno'd the engine right around 500hp but an very sorry I didn't go LS. It may get swapped out at a later date after the car hits the road. My build link is in my signature., nice project you've got going. Last edited by Todd in Vancouver; 04-29-2015 at 12:02 AM. Thanks Todd. One nice thing about the LS there are more around than when I started my project. They were crazy money in 2003 when I bought my car. Now they are getting some what reasonable. I'll have to check it out. I just went through you build thread Nice work! Last edited by Wayniez; 04-28-2015 at 08:55 PM. Yesterday I went to my buddy's house and got the engine crane. Took it home and got it assembled and put the Mac's lift plate on the engine. Then the dreaded honey do list reared its ugly head and I was toast for the rest of the day! But today was a good day! We hooked up the crane to the engine and rolled it over and within 30 minutes it was in! When we tried the first time the bolt on the driver side went right in. I couldn't believe my good luck, then the other side was not even showing the hole in the frame mount. CRAP ! We put the jack under the drivers side and lifted and I saw daylight on the passenger side mount. I worked a screw driver in and the bolt went right in. These plates were an excellent fit. Now if the headers fit with them like they are supposed to we'll be golden. Looks like plenty of room for the headers on the passenger side. Plenty of room back here. We got the 4l85 in yesterday but the tail of it was drifting towards the drivers side by a couple of inches so today we loosened the frame mounts and had enough slack to get it back to center. Feels good to be getting something done finally.